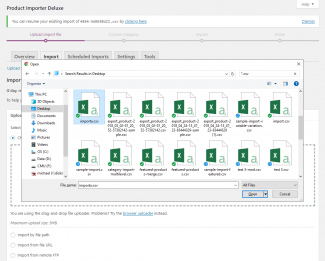 My need is to import AUTOMATICALLY every hour the quantity of stock every single product from a sheet xml loaded ftp and to export automatically orders occurred in the day as well. Are PID/PED suitable about it? 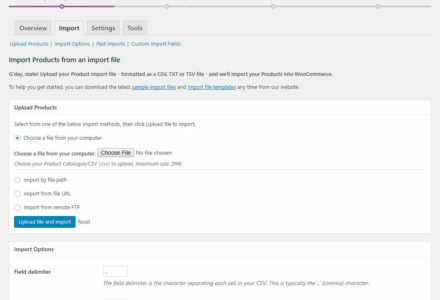 Hi fragor, we will be announcing a port of our Scheduled Exports engine over to PID in the new year to process automatic imports, you can trigger CSV imports via CRON with a custom URL request with our current Plugin but the XML file format is not yet supported. 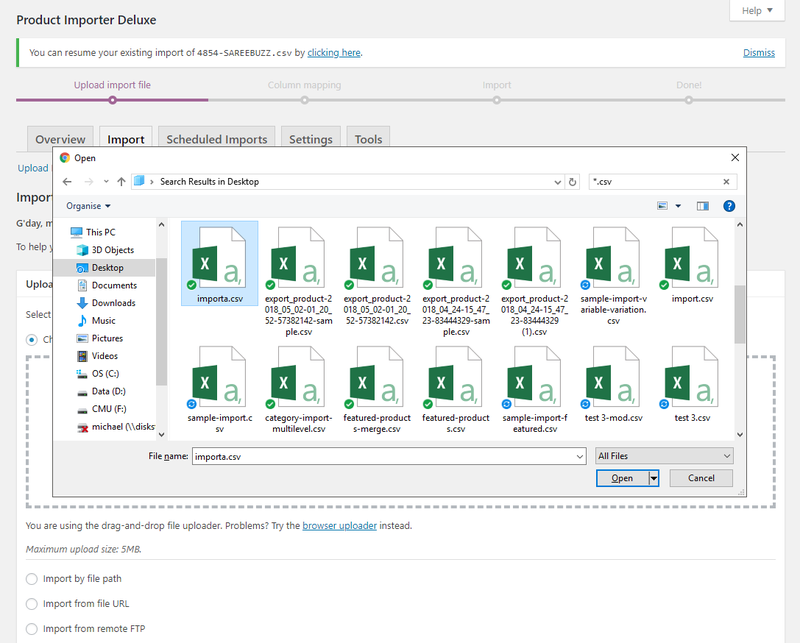 I just bought your deluxe exporter, which is awesome 🙂 I was just wondering, just like the exporter, is this importer able to do cron jobs and automatically import product from an FTP account? Hey guys. 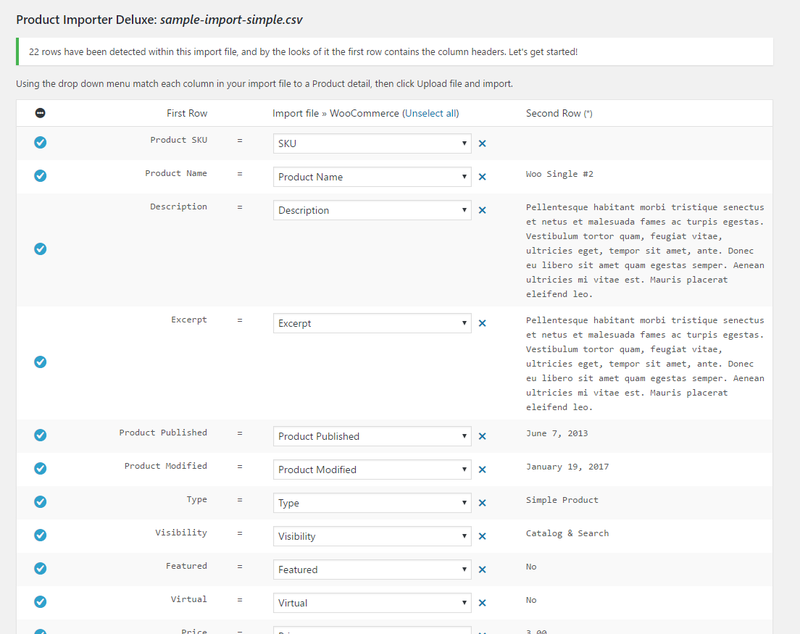 Loving this plugin except that the CSV file I import seems to ignore the ‘price’ and ‘sale price’ column data. Makes the plugin a little useless, don’t you think? Hi rexpbrus, agreed, what e-Commerce platform are you using? I’ll look into this today to reproduce and confirm. 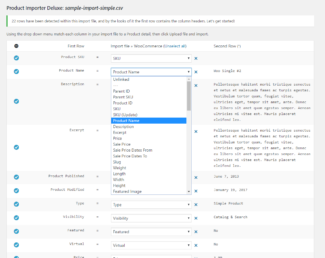 Does product importer deluxe has the ability to import custom fields? 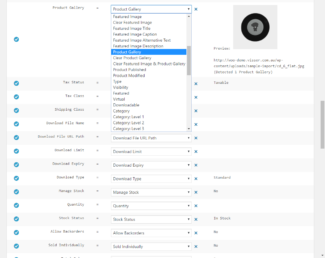 any ideas on time frame for custom fields as each of my products has at least 2 custom fields . We work in web design and currently building 2 ecom shops for client using woo commerce. 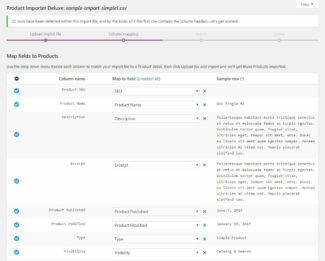 Just for your information I looked at two other product importer solutions before choosing yours based on based on your functionality and up to date support of the products you supply. Client is manufacturer of clothing and starting wholesale and retail on line shops on line. For any particular garment there are several sizes. Each size has its own stock quantity. If so do you know where I can find information or plug in regarding this and also if it is already available do you support the field in your product deluxe importer. 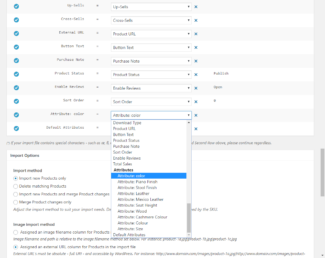 Hi Carl, you can manage stock for the Base Product (without Variations) as well as per-Variant (e.g. 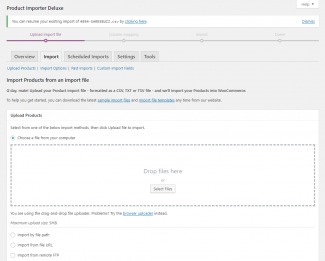 Size) within WooCommerce without any additional addon. 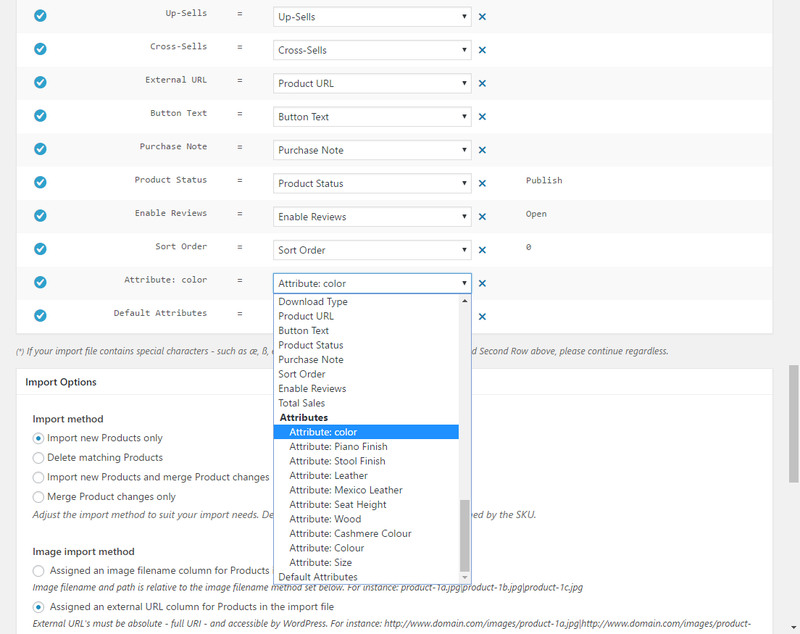 We already support updating Variants and their Quantity but are moving to a much clearer method than our current ‘merged Product Name’ field with Category separators to one where you match up the Product Name as the Variant and use the Attribute columns to match up how they’re linked (e.g. 1 level, 2 level, etc.). 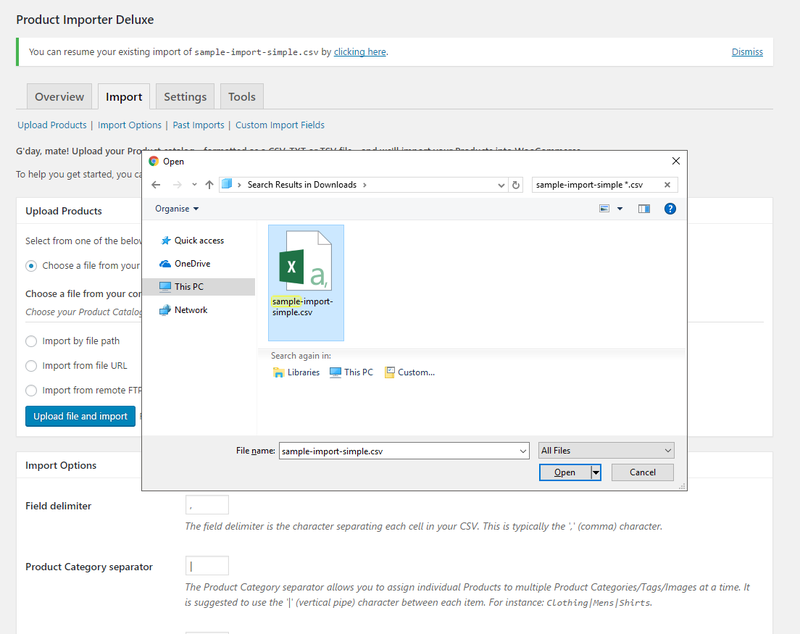 We’ll be announcing this shortly to help with importing/merging of stores with variations. I need to change the SKUs of all my products. 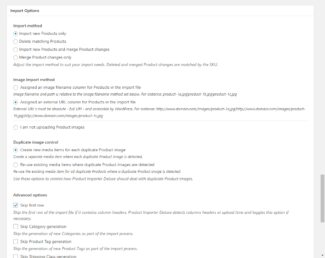 If I export the products and reimport using these modules, will the product ID be sufficient to map these as updates rather than creating new products? 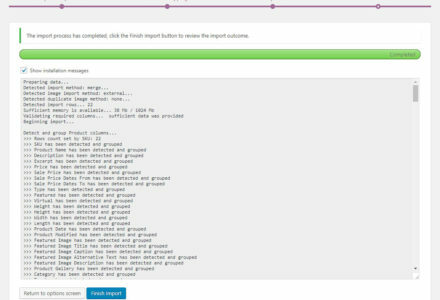 Hi frgabriel, I’ve had a look at our merge process and it seems we don’t support updating existing SKU’s, to do this we would either need to get the Product ID (which we currently already support) and run the usual merge process or add two separate SKU import fields for merging (the first being SKU (Existing), the second being SKU (New). We could use the Category separator character to split the contents of the SKU cell (e.g. SKU123|SKU234) where if the Category separator is detected within the cell then we treat them as two separate SKU’s (the first SKU123 being the existing SKU and SKU234 being the new SKU to be set). I can cook this into the next Plugin update if you can get back to me, thoughts? Well I have a file with the Product IDs, the new SKU, and the old SKU. 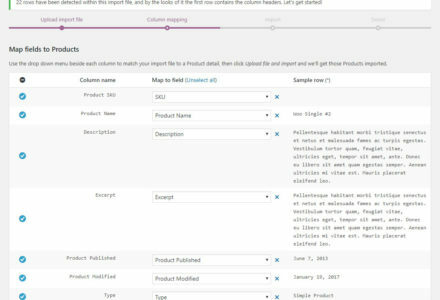 Since I have the Product ID already, are you saying I can do a regular merge with this as my base field and the new SKUs being mapped to the SKU field? Or do I need to wait for an update? Will this plugin work with the Advanced Custom Fields plugin? I have two text fields created with ACF and I’m wondering if they will populate if I include them in my csv file? 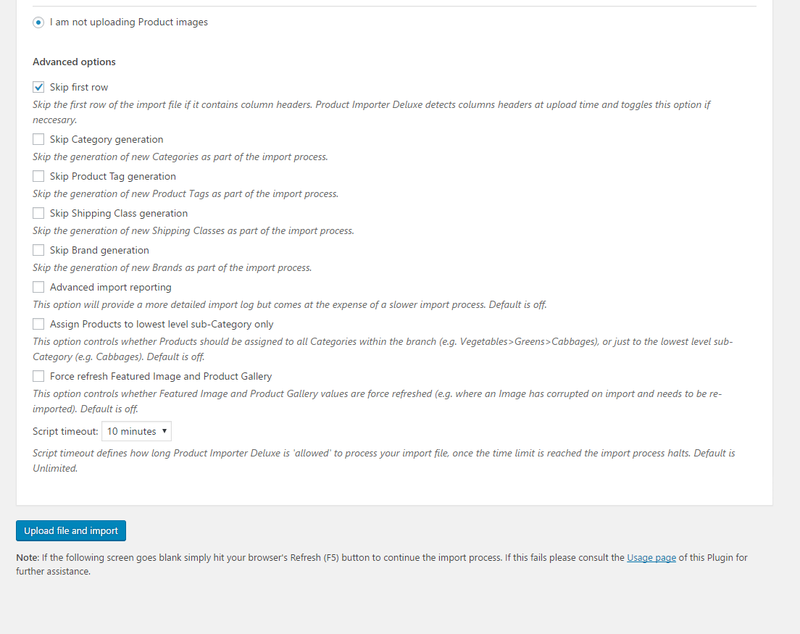 Just to follow up with this, I’ve added this task to our Plugin roadmap for Product Importer Deluxe. 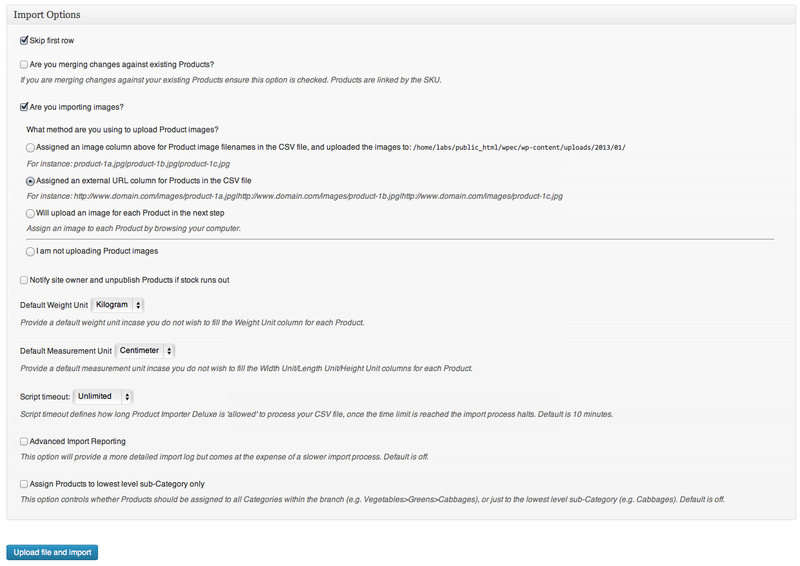 Here’s the roadmap for WooCommerce PID, the others can be seen under the Roadmap tab here. 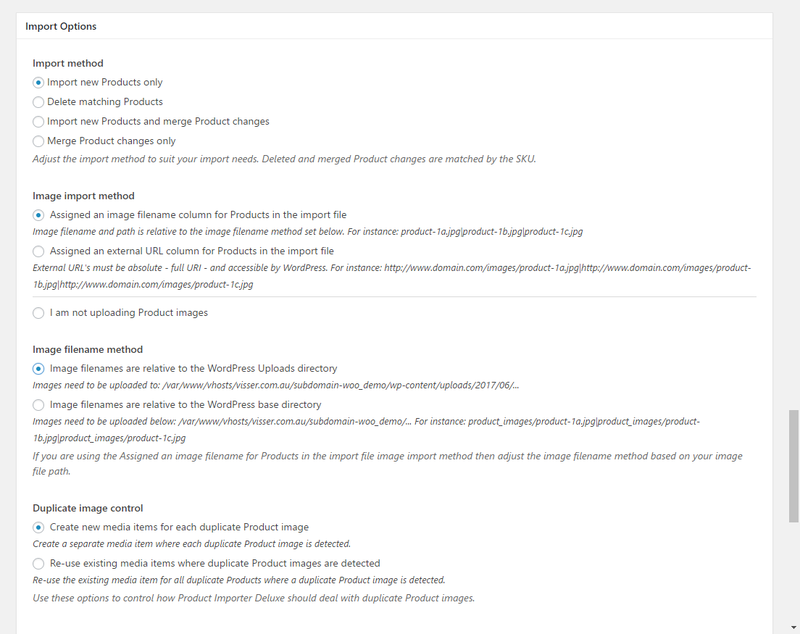 I was thinking of going with WP-ecommece and this plugin – I assume it easily does what they’re after? 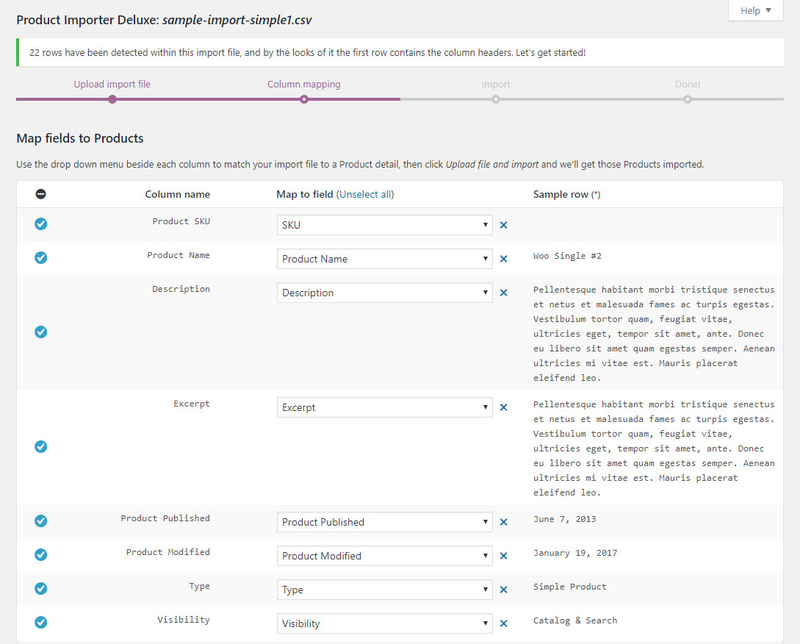 If they want to continually update their stock levels, do they have to do a full export import, or can they just have the SKU and the new stock levels on the CSV and update that – will that only update the files on the CSV or whip all the other data clear and only leave the SKU and stock level? 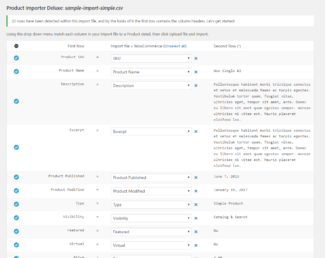 Hi ignitionmedia, we’ve built the WP e-Commerce importer to work with partial CSV files where you just provide the minimum Product details (e.g. SKU or Product Name) and the Quantity and let Product Importer Deluxe do the rest of the magic. 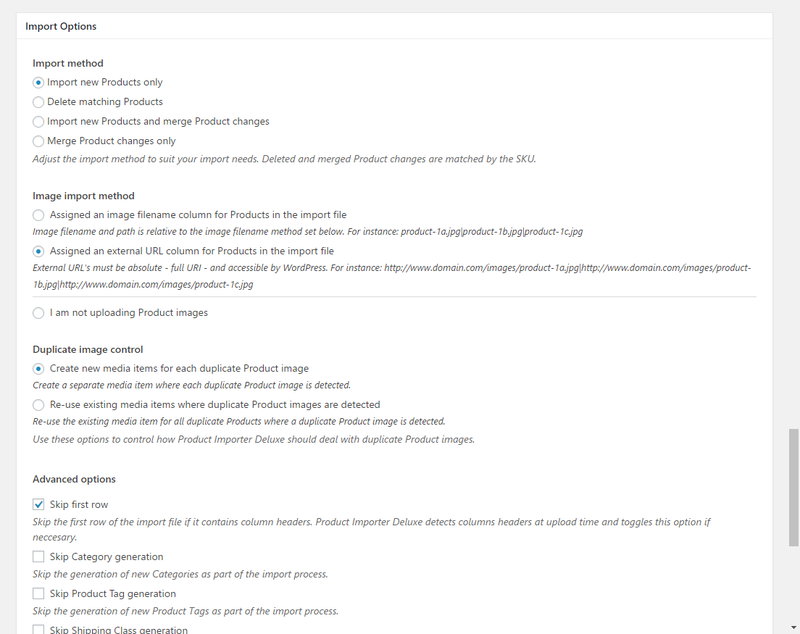 That said there is a known merge issue affecting quantities in the WP e-Commerce release of PID that we are working to resolve so it may be hit or miss for variants, etc. until we address this in the next minor Plugin update. 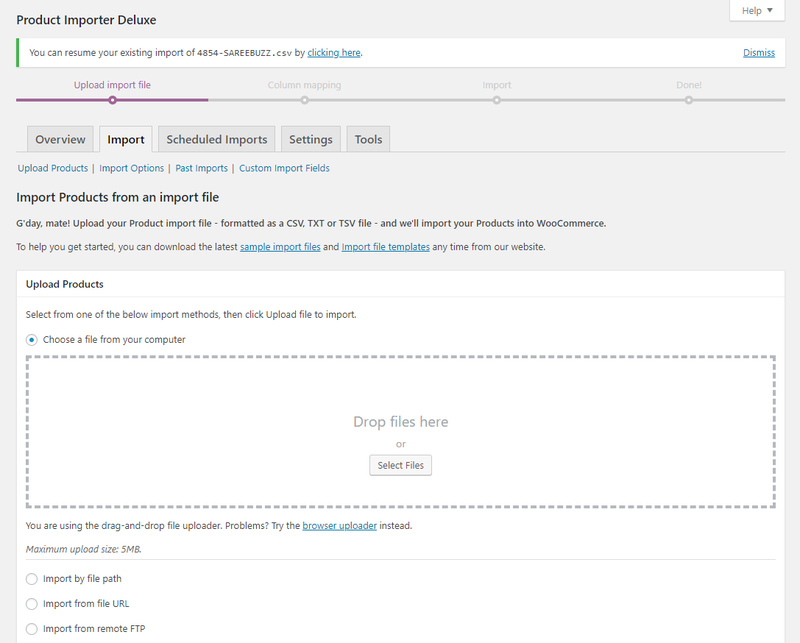 There are per-import options to control whether it replaces, merges or deletes missing Products at import time. Where is the cron option? 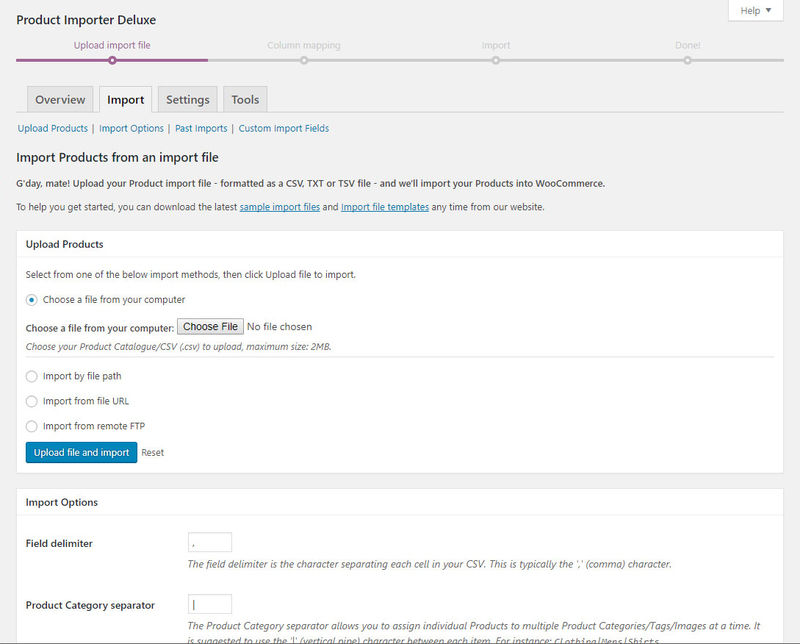 Hi calvares, you can find cron documentation under the Settings tab in the latest release of Product Importer Deluxe, can you confirm what e-Commerce platform you are using? I’m thinking to buy this plugin. 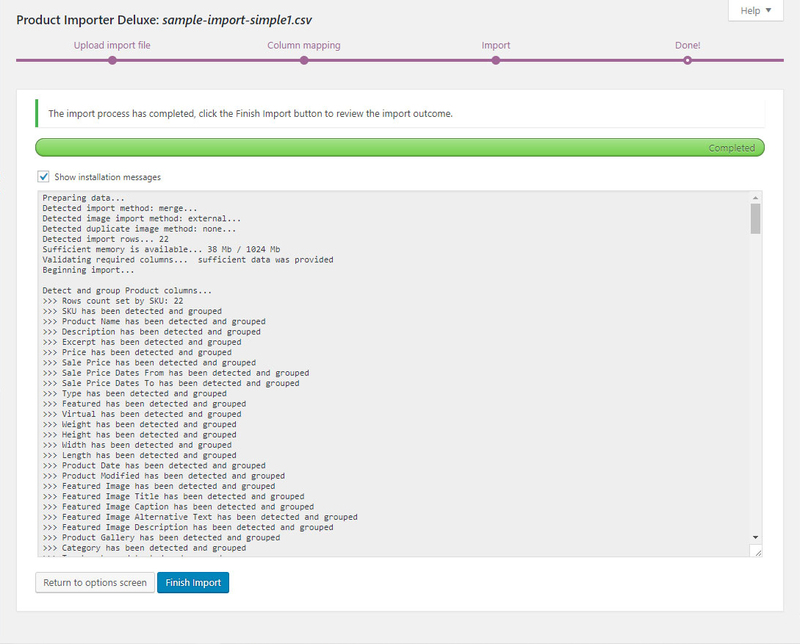 As far as i’ve understood, the plugin requires a formatted CSV to start the import process. Is it possibile to do it automatically? 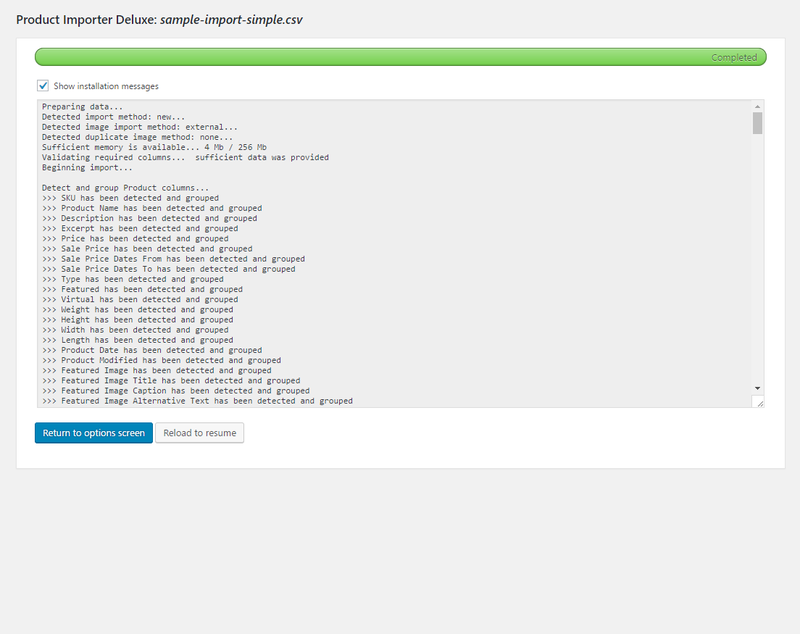 For example: i have a web-service on another website that could generate a csv file (or whatever i want). 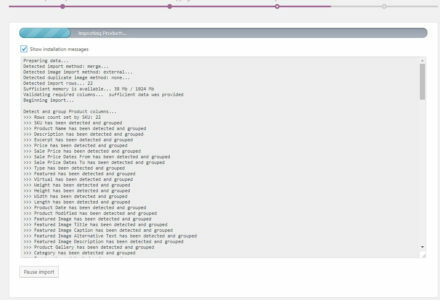 Is it possible to create a sort of “cron job” to get this csv automatically? 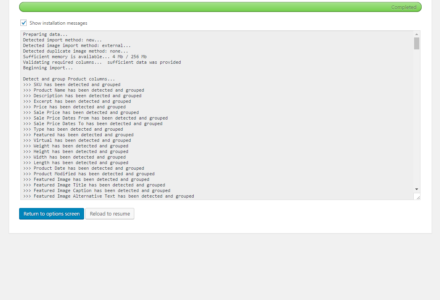 Hi Stefano, our importer supports CRON jobs but doesn’t yet support external services. 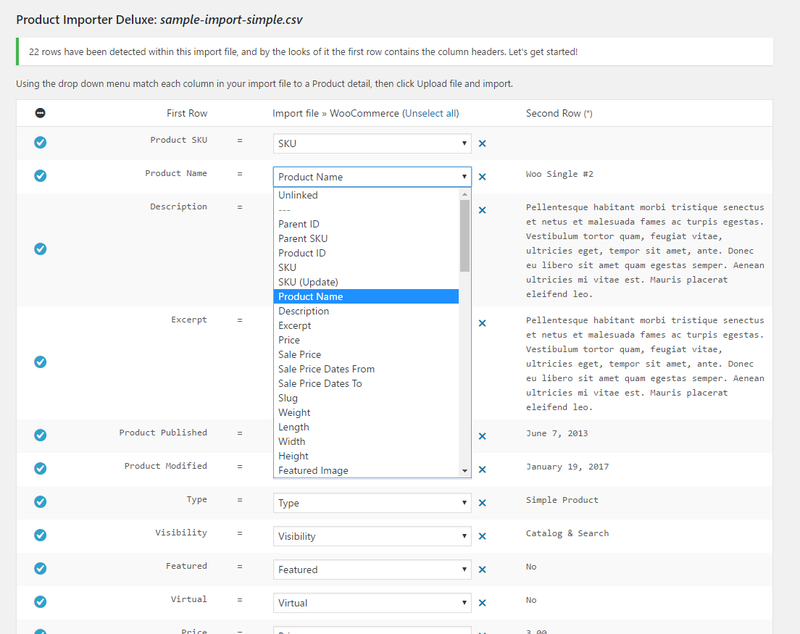 Check out the sample CSV’s available here as they’ll give you an idea how your web service CSV should be formatted. Hi Scott, please contact us directly via Premium Support, we’ll jump in and see what’s happening. 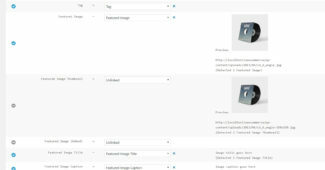 Quick questions I’ve imported EVERYTHING from one wordpress install http://www.designs4kids.com.au to http://www.designs3kids.net and as you can see the thumbnails and images have broken. Would this be able to move them across properly? Hi designs4kids, this is likely due the guid of your Posts not matching, this is important for Media/Attachments. 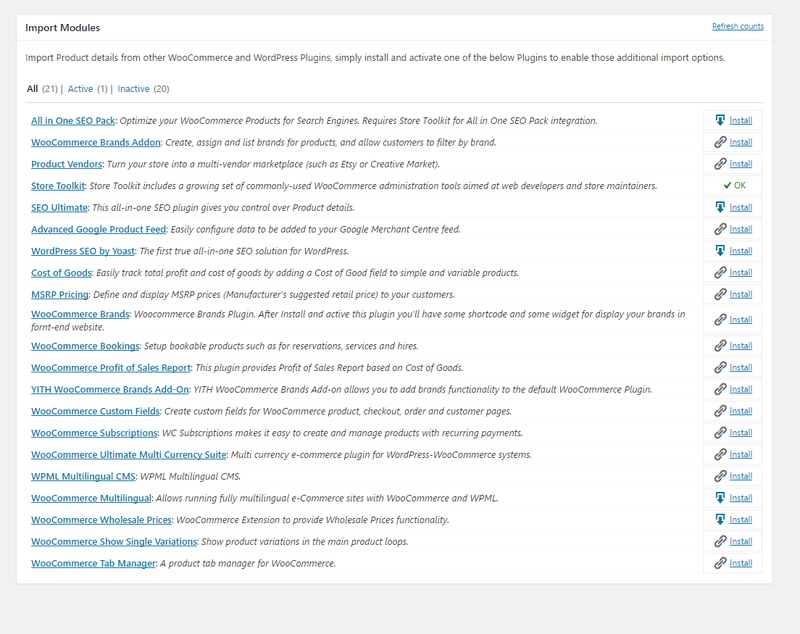 There are free Plugins available to address this, alternatively get in touch via Premium Support. 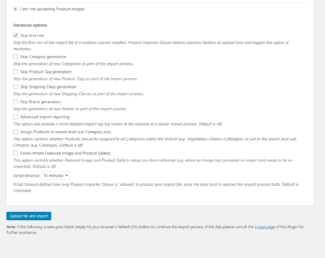 Hi, I have a problem Store Import, when I export my products the areas like SKU, title, description,.. aren’t in the same position of the archive when I import. Do you know what I need to do to fix this? Thanks. 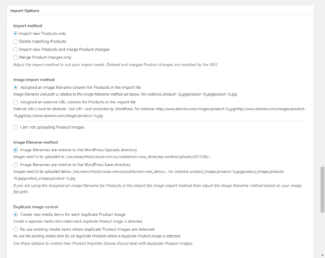 Hi Nicolo, can you confirm what Plugin you’re using for exporting as well as the platform you are using? 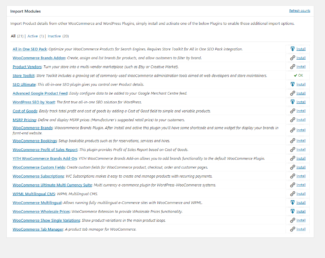 Will there be feature parity for Woocommerce any time soon? 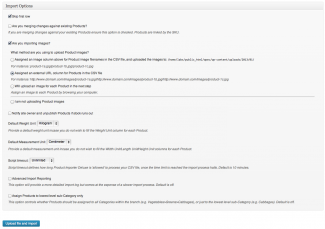 I need the functionality described on the site, but apparently all the features referred to as 2.0, 2.97, 3.1.8… including product merge and category import do not come with the version 1.6.8 for Woocommerce, correct? 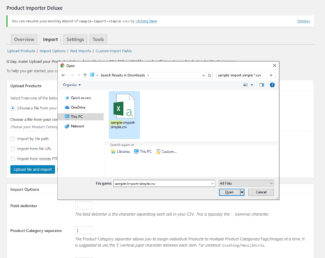 Hi Jeff, the new import method functionality (new only, merge only, import and merge) will be introduced into the next minor Plugin update for our WooCommerce shortly. 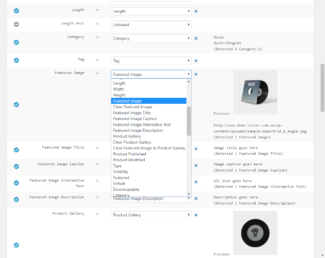 The available WooCommerce release of PID already supports basic Product merging as well as Category, Tag and Product Image generation. Our intention is to make features available to all platforms as close to initial release as possible.